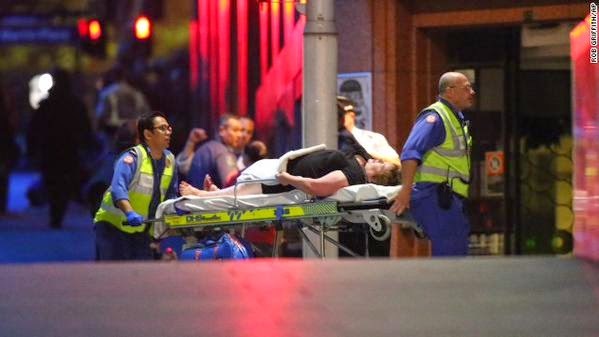 Police have now confirmed that the Sydney siege is over after Australian security forces stormed the Sydney cafe where several hostages were being held at gunpoint for more than 16 hours. Australian state broadcaster ABC reported that two people were dead and three were in serious condition. Seven people had been taken out of the Sydney cafe on stretchers, and five of them appeared to be receiving treatment immediately, the broadcaster reported. 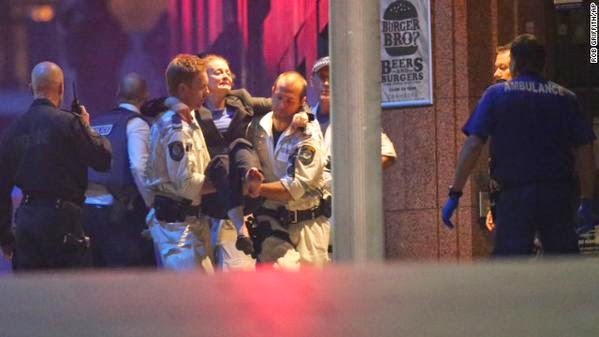 The fate of the gunman, identified by an official with direct knowledge of the situation as Man Haron Monis, was unknown. It was also unknown if any police were injured. 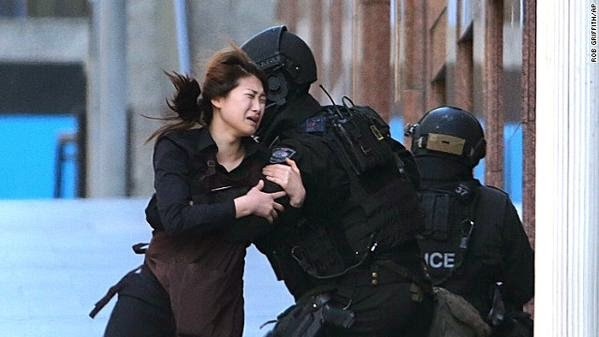 Hundreds of police officers, including snipers, had surrounded the Lindt Chocolate Cafe in Sydney's central business district shortly after the gunman took over the building at 10 a.m. Monday (6 p.m. ET on Sunday). 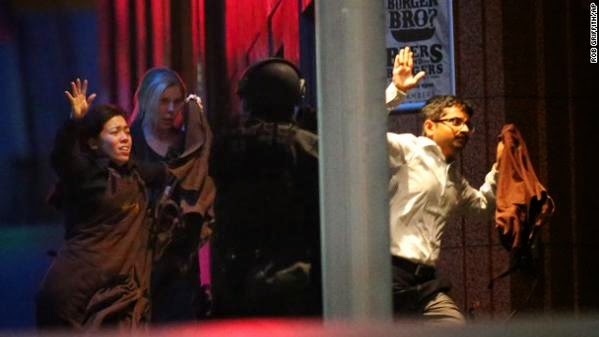 Chilling images from Australian media on Monday showed people, believed to be hostages, with their hands pressed against the cafe's windows. They were holding up a black flag with Arabic writing on it reading, "There is no God but God and Mohammed is the prophet of God." Chris Reason, a correspondent for CNN affiliate Seven Network, said the gunman became "extremely agitated" when he realized what had happened and "started screaming orders" at the remaining hostages. Reason said he could see the gunman pacing past the cafe's windows from his vantage point at the network's nearby offices. He described the man as unshaven, wearing a white shirt and black cap and carrying a shotgun. The gunman demanded a flag and phone call through hostages who contacted several media organizations, CNN affiliate Sky News Australia reported. Monis, also known as Sheikh Haron, pleaded guilty in 2013 to writing letters to Australian service members saying they were "Hitler's soldiers," according to Australian media reports. He was believed to be acting alone and does not appear to be part of a broader plot, additional U.S. law enforcement and intelligence sources said Monday. Beyond the demands for the flag and phone call, precisely what he wanted remained murky late Monday. As night fell, Reason said the cafe's lights had been turned off, plunging the interior into "complete darkness." In what appeared to be a dramatic ending to the hostage situation early Tuesday morning, police could be seen throwing flash-bang grenades into the cafe in video aired by CNN affiliate Seven Network. Gunfire erupted amid the chaos. After a brief episode of violence, the crisis appeared to ease, with police officers assuming a more relaxed pose, according to ABC. It's unclear how many hostages were in the building at the time. Before some of the hostages had fled, Seven Network reported that at least 13 people were being held at the cafe, but police declined to say how many were in there. New South Wales Police Deputy Commissioner Catherine Burn said it was fewer than 30.